One of the biggest problems with the glut of VR systems available is that they’re [for] enthusiasts only. You need a degree or a few years of gadget blogging to set up a Vive or a Rift dev kit. PS VR, on the other hand, is built for the same mainstream consumer the PS4 and previous accessories were built for. Say what you will about Playstation content and quality, but my Luddite best friend can still figure out how to plug it in to watch a Blu-ray. At Nottingham Spirk, we are introduced to lots of cutting-edge technology, and we’ve found success when we focus on the soft science — finding applications for the tech that will be meaningful to users. Innovative technology enriches the user’s life, and it doesn’t dictate how it must be used. It needs to be affordable and just makes sense. VR’s greatest limitation in the near term will be the very thing that makes it intriguing, the immersive experience. How many hours a day can most of us actually spend doing that? (And what might the physical and psychological effects of prolonged use be?) For the foreseeable future, entertainment and recreation seem to be its primary application. But the potential for practical uses will be enormous. Wouldn’t you like to see what your home could look like before committing to an expensive remodel? Or experience a vacation destination before purchasing tickets? That one could help travel agents regain some of the business they’ve lost to the web. Augmented Reality (AR) blends virtual objects into your existing world. You’ve seen versions of AR in the Iron Man and Avengers movies. 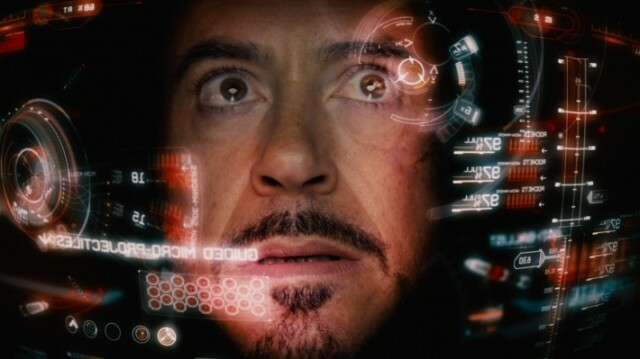 In shots showing Tony Stark’s face inside his helmet, we get glimpses of the heads-up displays that he sees while flying and fighting. In the real world, Lockheed Martin has developed something remarkably similar for pilots of the F-35 fighter jet. Their helmets reportedly cost $400,000 each. Companies that plan on developing these technologies need to be relentless in keeping consumers front and center, and not gambling their futures on products no one wants or needs. Launches won’t always go as planned, such as Gen 1 of Google Glass. But Google didn’t abandon the project; instead the company shifted its focus from the mass market to industries in which wearable devices could become valuable tools. And a consumer-grade Glass could return; the controversy over eyewear with a camera will seem quaint if Samsung is able to produce the camera-equipped AR contact lens that it’s seeking to patent. For the next few years, we’re likely to see a flood of new products and services based on VR and AR technology. Most, frankly, will fail to make much impact and fall short of investors’ expectations. The ones that succeed will be those that solve consumers’ problems, improve their lives or provide meaningful experiences. These principles apply in every realm. Microsoft has developed an affordable technology that almost blends VR and AR together with HoloLens, which allows people who are far apart to feel like they’re in the same room. (Microsoft calls it “Holoportation.”) A business traveler can interact live in the room with his children while in another time zone, or hold a meeting with (virtual) individuals from all over the world. The Cleveland Clinic and Case Western Reserve University have partnered with Microsoft on building medical training applications with HoloLens and in the planning stages for a HoloLens development laboratory on the CWRU campus. Microsoft has selected these two Cleveland institutions to join a select group of partners for this business.Meanwhile, Samsung is already seeking to patent an AR contact lenses with a camera.